The MdDS Foundation supports clinical studies and unites investigators with an interest in studying this disorder. There are promising scientific developments on the horizon. In 2010 while at UCLA, Dr. Cha received a three year research grant from the National Institutes of Health (Functional Neuroimaging and Transcranial Magnetic Stimulation in Mal de Debarquement; R03DC010451). 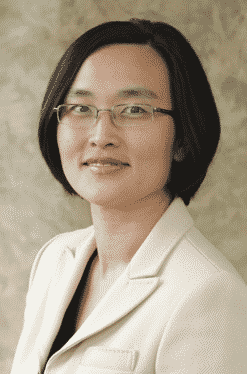 Before and subsequent to NIH funding, Dr. Cha also received research grants from the MdDS Foundation to extend her clinical studies of MdDS. These clinical research investigations have been productive and remain on-going. You will find our current studies at https://clinicaltrials.gov/. Contact mddsresearch@laureateinstitute.org directly for information. A research study, Development of a Telemedicine Approach for the Treatment of MdDS, is underway at Ohio University and the Icahn School of Medicine at Mount Sinai with support provided by the MdDS Foundation. This research effort is designed to develop and test a virtual reality (VR)-based device as an effective, portable, and inexpensive means for home treatment of MdDS. In 2012, clinical studies were conducted in the Human Balance Laboratory at the Icahn School of Medicine at Mount Sinai in New York City. Support for this clinical research was provided by the National Institutes of Health (Pilot Study on Mal de Debarquement; R21DC012162). This study was completed and findings published in July 2014. From 2010 through 2011, the Chronic Illness Research Team (CIRT) at the University of East London conducted three studies to better understand the impact of MdDS on the lives of patients. Findings were published in October 2014.